Yet another hat... I made this for an elderly lady, but unfortunately she couldn't wear it because it itched too much. That is too bad, but this one goes in the Etsy shop as well. 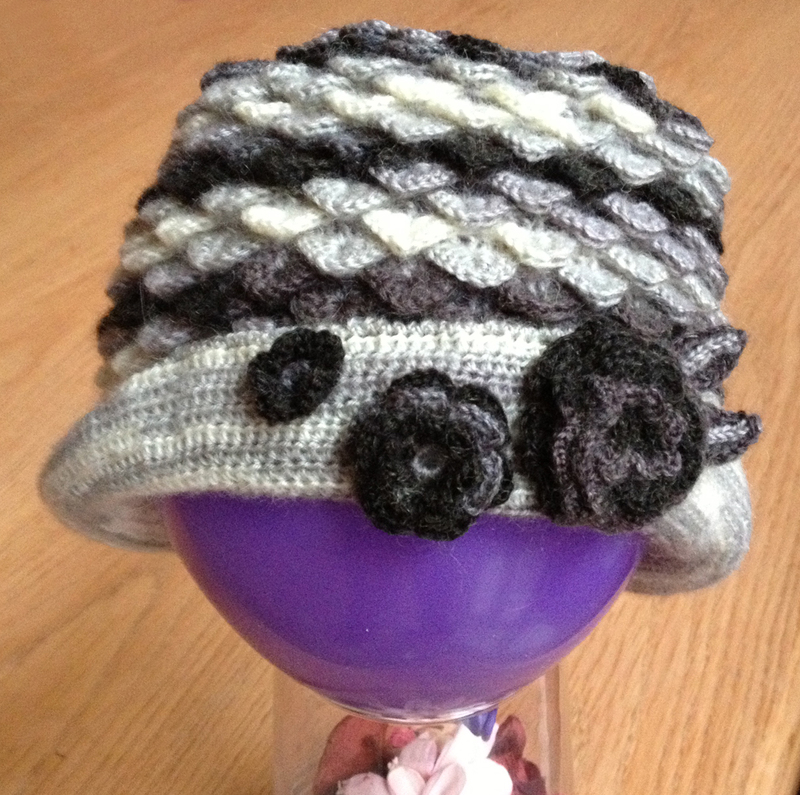 I designed this hat for a smaller head, about 57 cm circumference. Again faced with the trouble finding a suitable hat for myself, i decided that a headband might do the trick. Because my head is small and long, i need some volume to make it work. What better than freeform crochet to get a 3D effect. 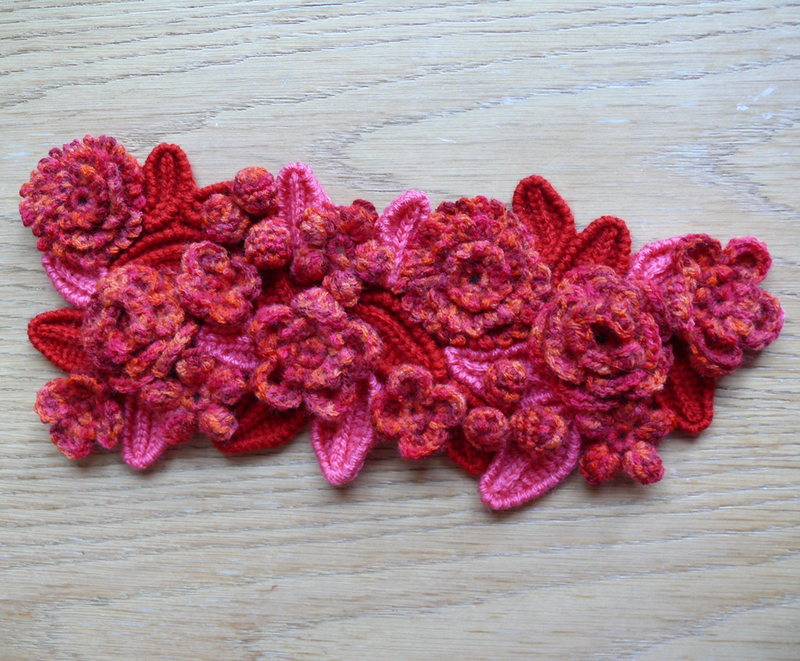 I crocheted various flowers and leaves and sewed them together. Freeform is my bliss:) I don't know yet if it'll work, but i'm having a blast making it. I love the way it looks, even in it's unfinished form. Je weet al dat ik dit leuk vind...Graag foto mét hoofd! 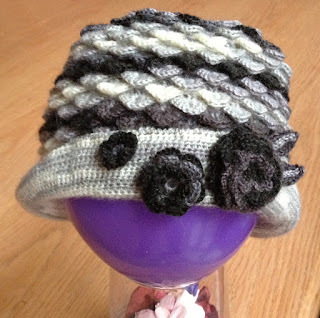 Do you have a crochet headband pattern you can recommend to me for the base, before I add the freeform motifs? I'm sorry but i can't recommend a pattern, because i made the band straight from the freeform elements. Maybe you can find one on Ravelry.com? There are tons of free patterns there!